I’ve loved self-help and personal growth advice ever since I can remember. I feel like I have a good awareness of myself and what I’m capable of, and I’m always interested in learning how I can continue to grow as a person. The only problem is when I get influenced by what other people are doing, I want to do it all. A lot of us think we ‘should’ be doing things because we’ve listened to a podcast, read a book, or watched a video where someone shared habits or goals they’re working on. Suddenly we feel inspired to set the same goals. We might even feel guilt-tripped into doing them. If you’re constantly setting new goals, they might not align with what’s truly meaningful to you. You might just end up getting burnt out from your own ambition. That’s why it’s so important to get 100% clear on the WHY for your goals. 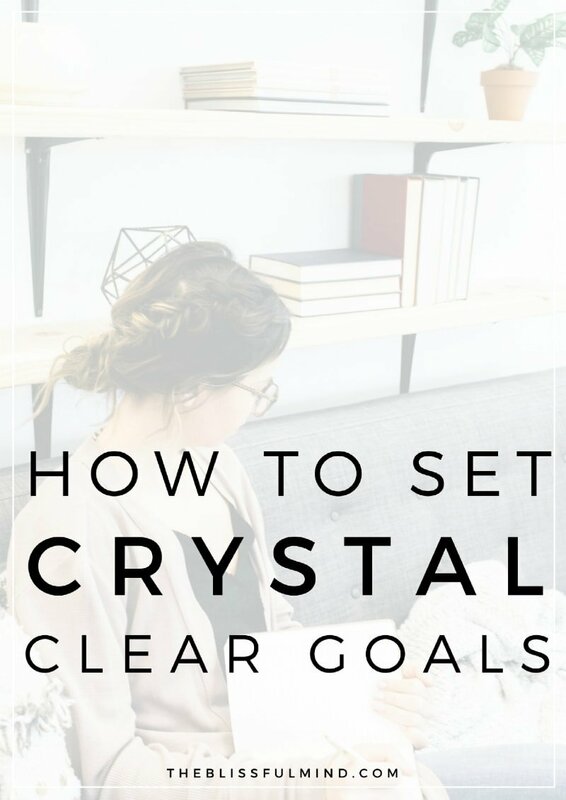 You need to set meaningful, crystal clear goals in order to stay on top of them. Ready to start setting new goals for yourself and actually follow through with them? 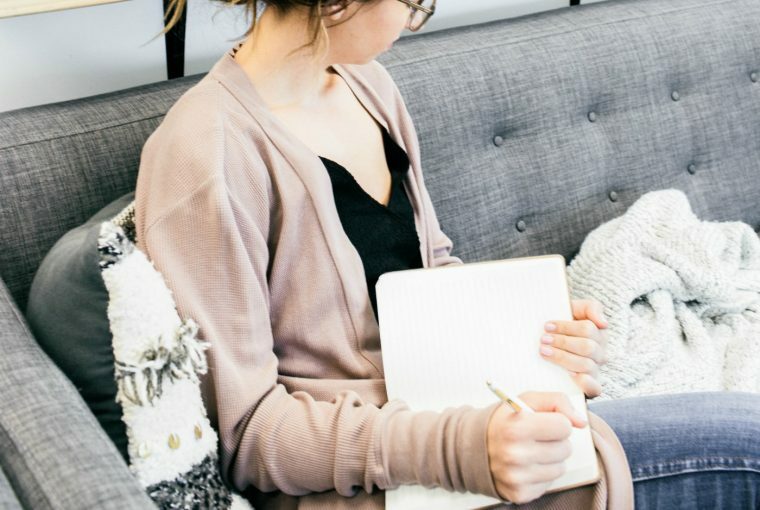 Think of this as a mini-guide to help you get clear on your goals, break them down into manageable action steps, and hold yourself accountable. Let’s get started! Suffering from goal setting burn out? Here’s how to set intentional goals that you’ll actually achieve. The most important part of the goal setting process is to get super clear on what you want to achieve. You want to set goals that are going to move you closer towards where you want to be. When I work with new clients for the first time, I always ask them what they want to achieve in the next three months. It might be starting a daily meditation practice, landing a new job, or finding more work-life balance. I then ask them why they want to achieve that. I want to know what’s meaningful about that particular goal at this point in time. P.S. 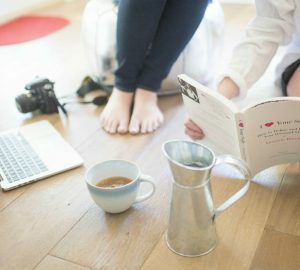 If you’re looking for some goal ideas, check out my post with 30 Goal Ideas To Nourish Your Mind, Body, and Soul. What’s my biggest priority right now? Is this a should or a want? Does this align with my values? Will this matter in 6 months? Once you’ve decided on what you want to achieve, it’s time to make your goal even more concrete. Specific: Is my goal specific? Measurable: Can I measure my progress? How will I know when my goal is achieved? Attainable: Is this actually something that can be achieved? Relevant: Is this relevant to my life and desires? Timely: Can I set a due date or time when I will work on it (daily, weekly, by Oct 7)? Goal example: I will move into my own apartment by December 15. What if I have more than one goal? I would recommend working on no more than two big goals at a time. Any more than two and you’re going to burn yourself out, and it’s going to be more difficult to make progress. I used to set three monthly goals that focused on my mind, body, and soul. While I loved the concept, I eventually started to feel burned out because I was trying to come up with new goal ideas every month. I was constantly switching it up, which meant I wasn’t to make as much progress as if I’d stuck with something for more than a month. Once you’ve set yourself a goal, it’s time to plan out how you’re going to make it happen. In order to make progress with your goals, you need to make sure you know exactly how you’re going to achieve them. Instead of the monthly goals I used to set for myself, I’ve started setting 1-2 quarterly goals instead. You can actually achieve something big if you give it three months of your time. When I have one quarterly goal to span over three months, I break it down into smaller action steps that can be accomplished each month. Let’s use the SMART goal example I mentioned above: I will move into my own apartment by December 15. Kind of random, but let’s go with it. Now what’s going to happen between now and December? It’s easy enough to say that you will accomplish your goal by December 15, but there are other steps that are going to need to happen between now and then. With this goal, you have three months to prepare to move out of your parents’ place. You might break it down so you have one action step for each month (October, November, December). Within each action step, you could then have three mini-action steps. After you’ve decided on these action steps for each month, you can add these into your calendar and spread them out throughout the month. This ensures that you’re not leaving everything until the last minute. 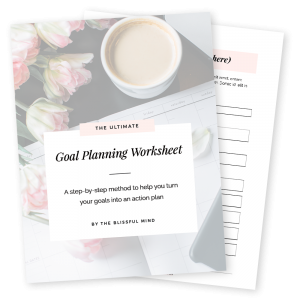 A step-by-step guide to help you turn your goals into an action plan. The only limit to the height of your achievements is the reach of your dreams and your willingness to work for them. The biggest struggle when it comes to goals is following through with them. If you’re not feeling super motivated or clear about your goals, it’s going to be even harder to make them happen. Follow-through takes self-discipline, patience, and dedication. One of the things that makes achieving goals harder is when you forget what you are even working towards (we all do it, our brains are all over the place). Make it easier for yourself by writing out your goal and action plan and keeping this visible or easily accessible. Review your goal(s) every morning. Whether you’ve written them down in a word document, notebook, or printed it out, take two minutes every morning to look over them. Most importantly, look at your why for wanting to accomplish your goal. Make sure you have this written down so you don’t forget it. Accountability is one of the most important aspects of achieving anything in life. My coaching clients have told me that the most valuable thing they gained from coaching was having someone to hold them accountable every single week. 1. Start a mastermind group: Get two or three friends/coworkers/bloggers together and share your goals. Keep each other updated on your progress every week and cheer each other on. 2. Tell people about it: Share your goal with a handful of people or broadcast it to your entire social media network. Putting your goal out into the world makes it feel more real, plus it gets other people excited for you . When I started to write my eBook, I announced to my email list that it would be ready by July 15. Since I didn’t want to disappoint anyone, I held myself to my goal. 3. Make someone else hold you to it: Make your partner, friend, family member, or coworker hold you accountable to your goal. Let them know that you’re going to need encouragement along the way, and ask them if they’ll check in with you every now and again. Sometimes we all need the promise of a reward to actually make us do something. When setting your own goals, think of something you could reward yourself with when you accomplish it. Maybe it’s something big like a trip or vacation, or maybe it’s something small like ‘when I accomplish this step, I’ll let myself binge watch Netflix’. Finally, patience is absolutely necessary when it comes to achieving your goals. Sometimes when we have days where nothing seems to be going right and we feel like we’re making no progress, we have to remember that these things take time. Luckily you have your action plan to help you map out exactly what you’re going to do, and this can help you to see what you’ve already accomplished. Daily progress and patience are key to making your goals work for you. What do you want to achieve in the next three months? 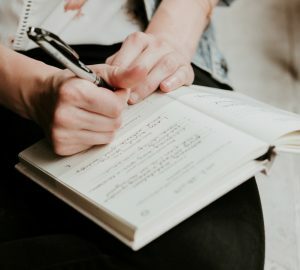 Bookmark this post the next time you’re working on a goal, and remember that it all comes down to getting clear on your goals and creating an action plan. 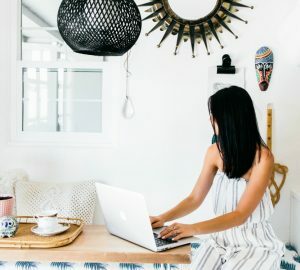 I really enjoyed this post and how you broke down how to actually meet a goal and how to follow through which has always been my weakness. i just came upon your blog today and really enjoy it. Thanks for sharing! I love this but would love to hear how to shut up your brain when it gets a new shiny idea! It’s so hard not to follow it! They constantly stay on my mind and cannot accomplish others. Love this! Thanks so much for sharing. Going through some major life transitions right now and this is going to be so helpful for me. Great information laid out in the most perfect manner. Brilliant! Thanks a lot Catherine.